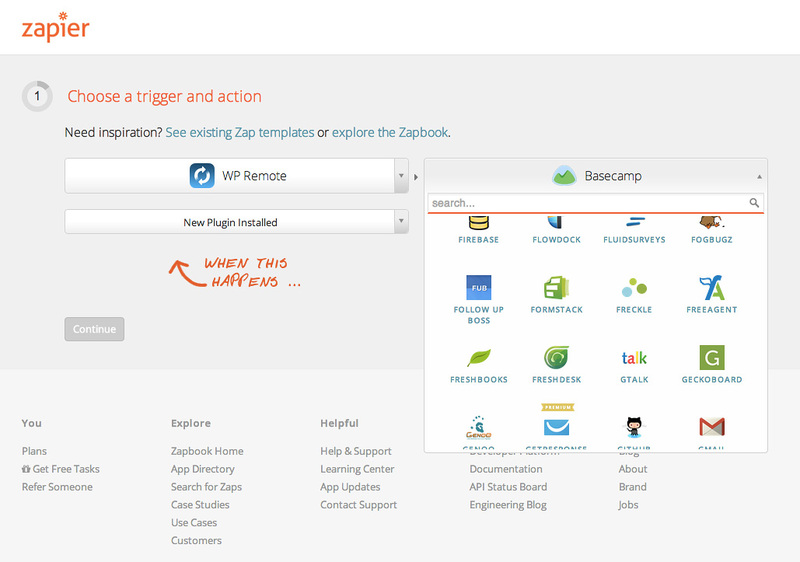 We’re pleased to announce WP Remote for Zapier has launched! 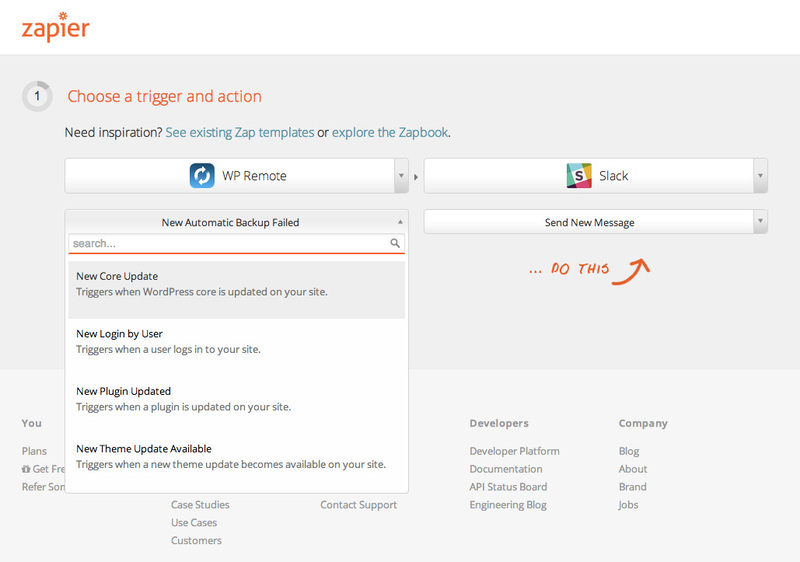 Zapier will allow you to push activity from your WordPress sites to a number of other tools you likely already use (Basecamp, HipChat, Slack, Google Docs, etc.). 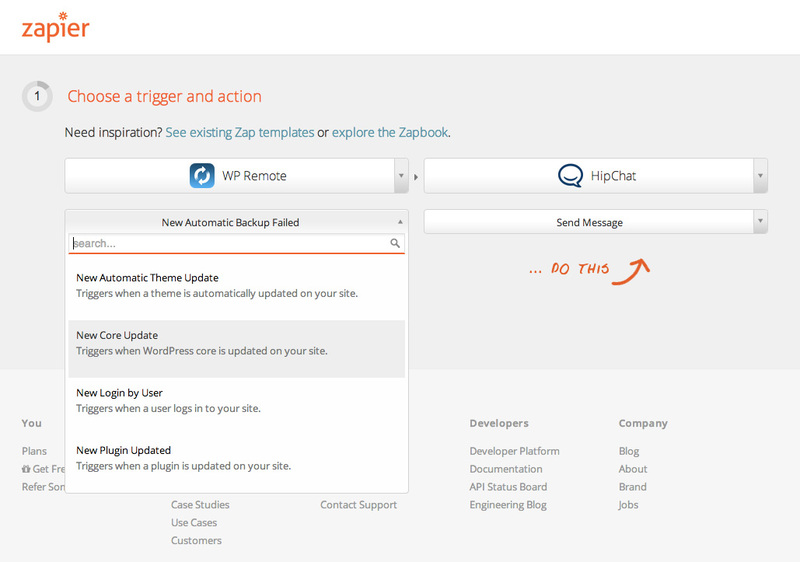 It’s our hope that with things like Zapier and our API, we’re able to give users the power to enhance their working day with more automation. 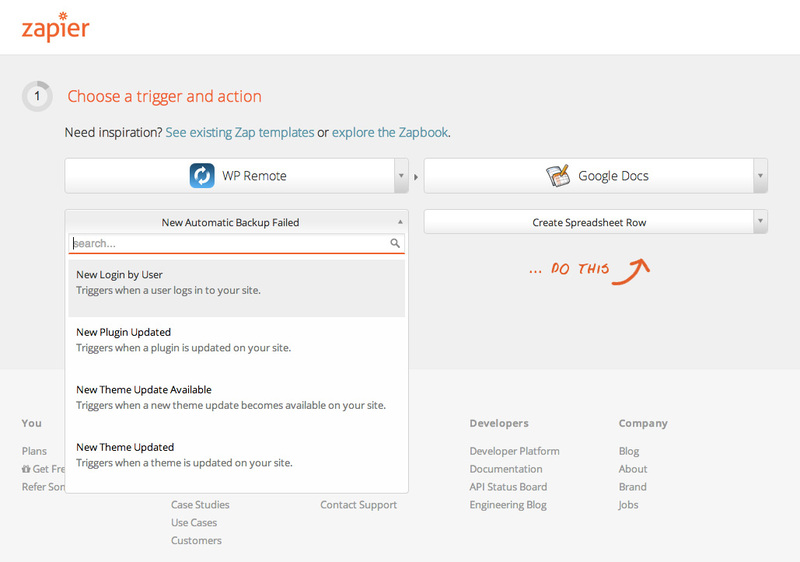 Head on over to Zapier now and have a play around with it! 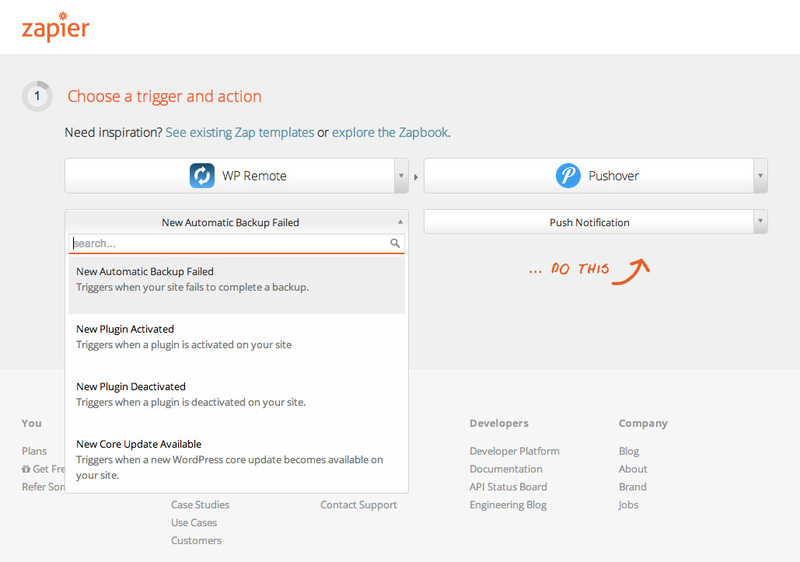 We’re also very interested in what sort of recipes/zaps you come up with, tweet us at @wpremote with a screenshot of your zap and we’ll retweet the creative ones!